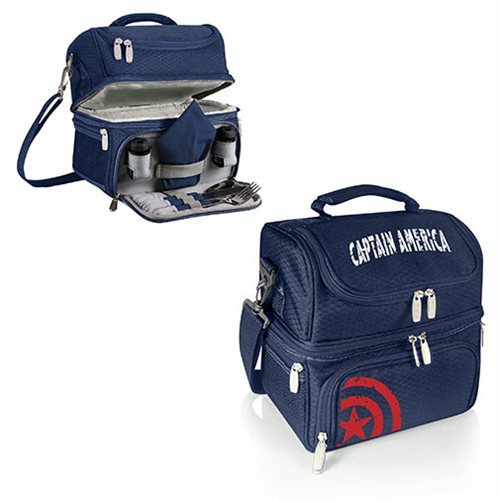 Shopping for Captain America Lunch Boxes? 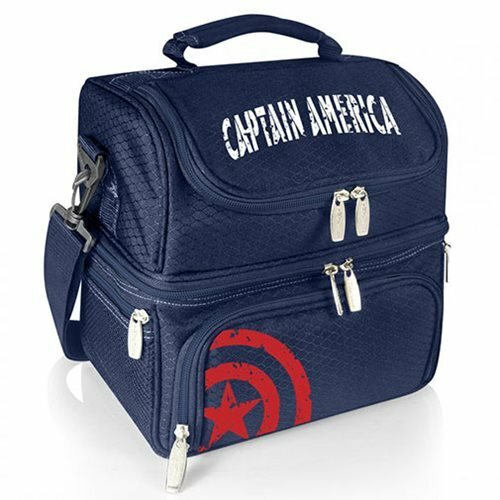 The Captain America Pranzo Lunch Tote Bag is an insulated lunch box that features isolated sections so you can separate your hot and cold food and drink items. Made of polyester (exterior and interior), it also features an adjustable shoulder strap, soft grip handle, side mesh pockets, and a hidden flatware section complete with 1x stainless steel fork, knife, and spoon, 1x set of salt and pepper shakers (plastic with twist cap), and 1x napkin. Perfect for school, work, day trips and gift giving occasions. Measures 12-inches long x 11-inches tall x 8-inches wide.